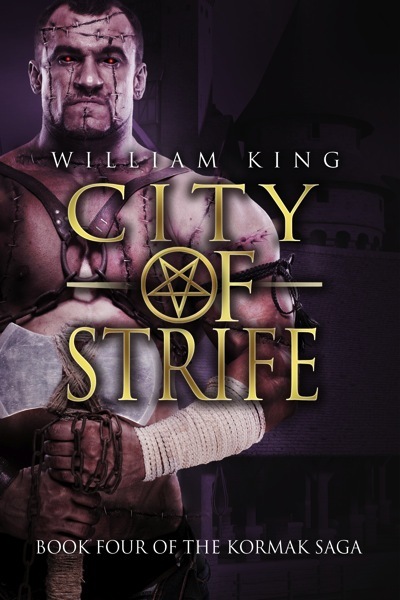 Today we interview one of the Black Library fandom’s favourite authors, the legendary William King. He’s responsible for creating the iconic Gotrek, Felix and Thanquol characters in Warhammer Fantasy, and for writing the Ragnar series in Warhammer 40,000 and more recently the Tyrion and Teclis and Macharius series. He’s also written a number of stories in his own settings. 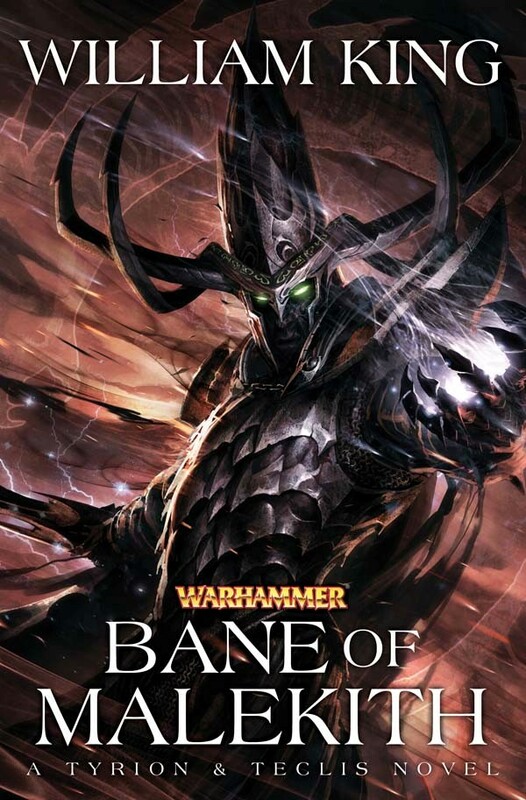 Your latest novel Bane of Malekith, the third in the Tyrion and Teclis trilogy, is out now. What was the writing process for the book? Can you describe how you go about working on a novel? The second question is tricky to answer since the process varies from book to book. The Tyrion and Teclis trilogy was probably a unique case among all the books I have written. They were done one after the other in the space of about nine months and then revised in about another 5 months. The trilogy was in many ways the easiest thing to write I have ever attempted. I set myself the goal of writing a minimum of 1000 words EVERY day come rain or shine and I pretty much stuck with that until the books were done. I even spent an hour writing in a Costa coffee house in Qatar in the middle of the night to keep up my unbroken run. I spent many years brooding on the story which probably helped make things flow. I wrote the original outline for it way back in the early 90s in the first High Elf army book so I was pretty clear what I wanted to write. The characters themselves have been pretty strongly defined and mostly I just wanted to show how they became who they are today. I wanted them to be believable as heroes and still sympathetic. As for my usual writing process, it’s pretty simple. I almost always work from an outline – which is handy since Black Library requires me to send them one before they will issue a contract. This outline provides a guide for the actual writing. I don’t try to stick to it religiously. Some things that look great in the outline don’t actually work when you come to write them and conversely there are always things that take on a life of their own as they escape from your brain onto the page. As I go through the first draft, I tend to stop and go back occasionally and rewrite things the light of what has happened since I wrote them. I put in foreshadowing, bits of stuff that I now know will be important to let the reader know about and so on. Once I have written the first draft, I go over the book a number of times, trying to make sure everything is consistent. Sometimes there are large changes needed at this stage as flaws become evident. Eventually the thing is done, sent to the editors. More changes are often required at this stage. There is a backwards and forwards process until the book is done. Are there any parts of the book that were a particular struggle to write, and any you are now especially pleased with? As I said above this trilogy was probably the easiest thing I have ever written, with the possible exception of Daemonslayer, which was written after a similarly long gestation period. It was an enormously pleasurable experience. There are lots of things in the books I like – in particular the depictions of Aenarion, Caledor, Malekith and Morathi. In Bane of Malekith I like the way Malekith comes across. I also like the final set of duels between Tyrion and Urian and Malekith and Teclis. I am pleased with the opening chess game between Caledor and Death as well, which is, as I am sure many people will have spotted, a reference to Bergman’s The Seventh Seal. Do you have any particular literary influences or sources you draw inspiration from in your writing? Robert E Howard, Roger Zelazny, Michael Moorcock and Tolkien all spring to mind. Less obviously Lawrence Block, George Orwell and, this is going to sound bizarre, Charles Dickens. He had a brilliant way with creating memorable characters. Readers sometimes comment that you have a great ability to portray details of character or setting with just a few well-chosen words. Is this an element of your writing that you’ve consciously developed, or has it always come naturally? See my comment about Dickens above. He has a knack for giving characters memorable mannerisms (Orwell comments on this in his essay on Dickens). It’s one of the things I try to do—like Gotrek running his thumb along the blade of his axe as he ponders violence. When creating a character I try and come up with three really memorable things—a look, a mannerism, an attitude and I build on it. With settings, it’s the same. I try and find small details that will be convincing to the reader. I look for the sort of things that make me nod and think, yes, that’s how it would be. How do you approach character development? Do you prefer to see how the characters evolve as the story progresses, or do you tend to plan out character arcs before starting to write? I tend just to let the characters run from where they start. My basic philosophy of character creation is find characters you like and understand and then torture them. By this I mean cause them difficulties, take away their stuff, pick on their loved ones etc. Again though, when I pause to think about things, I would need to add that this varies from book to book. Sometimes I have a definite aim in mind. With Tyrion and Teclis I wanted to show how they got to be heroes. 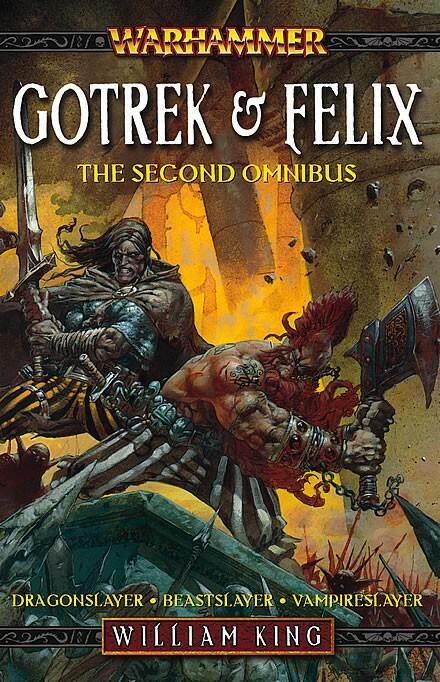 With Gotrek and Felix and Grey Seer Thanquol, I just ran with what was happening in the stories and left the characters to their own devices. You can see what happened. Writers seem to have different patterns when they’re involved in their writing. Is the writing process for you a lonely one or do you become more social? I’ve never been the world’s most sociable man. I enjoy being on my own. I think it helps. On the other hand, it’s easy for me to say since I have a very supportive family. You’ve been writing now for over twenty years. How have you found that the world of publishing has changed in that time? It’s a different world now, completely and utterly. The single biggest change has come in the past five years with the rise of indie publishing and Amazon’s Kindle store. I have sold something like 40000 indie books in the past couple of years. The royalty rate on those books is something like 10 times as much as those on a conventionally published book so that’s a significant shift. Can you remember when you started writing, and do you have any advice for aspiring writers now? I can remember it like it was yesterday but the world has changed so much that nothing I learned in terms of the business side of things would be useful today. On the other hand, some advice never goes out of fashion. Write what you love. Write the best stories you can. Read a lot. Write a lot. Don’t expect to be an overnight success. Learn to manage money. I know those all sound like clichés, but there’s a reason for that. They are all true and will most likely remain so for as long as people write books in the hope of selling them. You did a lot of work on developing the Warhammer setting as a designer. Do you find that has made it easier or harder to write fiction set in the world, and has that changed over time? It was easier when I started but it has gotten harder as the Warhammer world had been changed and expanded and so many more books have been written. You’ve written in a variety of settings. Do you prefer working in an original setting of your own or with somebody else’s IP? It depends! (You’ll notice a trend in my answers here as once again I sit on the fence.) In some ways writing in somebody else’s IP is easier because the world has already been created and you have very clear guidelines as to what is expected. In some ways, writing your own stuff is easier because you don’t need to worry about what other writers may be doing. When I am writing my Kormak sword and sorcery novels or my Terrarch gunpowder fantasies, I am free to do pretty much as I please, up to and including blowing up the world if I want. I am pretty certain I could not get away with doing that (in Warhammer fantasy at least, in 40K there are a lot of worlds). In Warhammer as more books are written by more writers, the number of things you can write about tends to narrow because somebody else may be doing something you would like to do. Also, if I may introduce a note of crass commercialism into matters, if you are working in somebody else’s IP there is usually some certainty that there is a market for it and that you will be paid. If you are working on your own stuff, unless you are already a well-established writer, that is not a given. Who would you say is your favourite character among those you’ve written? It’s really hard to make that choice, I like them all. Gotrek and Felix come first but as a team! If I absolutely had to pick just the one character, probably Grey Seer Thanquol. He was pure fun to write. In your heart of hearts, do you prefer Dwarfs, or Elves? Elves. Most of the time. Although I would probably rather go out drinking with dwarves. After the conclusion of the Macharius trilogy, do you have plans for any more novels we should look out for? There are some things being discussed but I am not allowed to talk about them at the present moment. Sorry about that! Nathan Long takes a few minutes to tell us about what it’s like being a writer. A veteran screenwriter of 15 years before becoming an author, Nathan has a fair bit of thought to share with us today. He2etic: What kind of music do you listen to while you write? Nathan: Mostly soundtracks, Conan, Lord of the Rings, etc. But I try to match the music to the subject matter I’m writing, so if it’s something science-fictiony I might write to trance or electronica. He2etic: Who are your favorite characters amongst both those you’ve written, and by other authors? Nathan: Favorite characters by other people: Fafhrd and the Gray Mouser by Fritz Leiber, and Flashman by George MacDonald Fraser. Favorite characters by me: uh, it’s really hard to choose. I like them all because they all give me the opportunity to write in different voices and explore different aspects of my psychosis… er, I mean personality. He2etic: What are your strongest influences when it comes to character creation? Nathan: I tend to come up with plot ideas before I come up with the characters to put in them, so my character creation is strongly influenced by the role the character needs to fill. For instance, with The Blackhearts, I didn’t come up with Reiner first, then build the story around him, I came up with the idea of “The Dirty Dozen in the world of Warhammer” and then sat around thinking about what kind of person would lead such a group. He2etic: Are there any dream characters or settings you want to write about? Not just those in the Warhammer universes, but in other franchises or even of your own make? Nathan: I have plenty of my own characters that I am dying to bring to the public’s attention, but, yes, there are a few established characters I would love to write. Top of the list would be Fafhrd and the Gray Mouser, and in fact I actually wrote an F+GM fan fic, which you can find on the ‘Free Stories’ page of my blog. Others would include Solomon Kane, Catwoman, the Creeper, the Aliens franchise, the Bordertown series, Buckaroo Banzai, and I’ve always wanted to adapt a kids story called the Weathermonger into a movie, though I think the BBC might have beat me to it. He2etic: What are your favorite drinks, both alcoholic and not? Do you occasionally partake while writing? Nathan: I don’t drink alcohol, but I drink absolutely gallons of tea when I write. My favorite is oolong tea. It is the nectar of the gods. Jane Carver – Sadly, there are no actresses I know who look like I imagine Jane looking. Nathan: Yes. Jane Carver was planned as a four book series. I have no idea if the last two will ever be written, but I would like to. I also have a few other novel ideas that could easily become series, and right at the moment I’m getting set to announce an on-line comic that I’m writing, which I hope will go on for a very long time. I can’t tell you anything more about it yet, but there will be an announcement in the next few months. He2etic: Are there any novels you would consider required reading? He2etic: What advice do you have for anyone trying to make the transition from novel and short story writing to screenplay writing? Nathan: Hmmm. I can’t really answer that question, since I went entirely the other way. 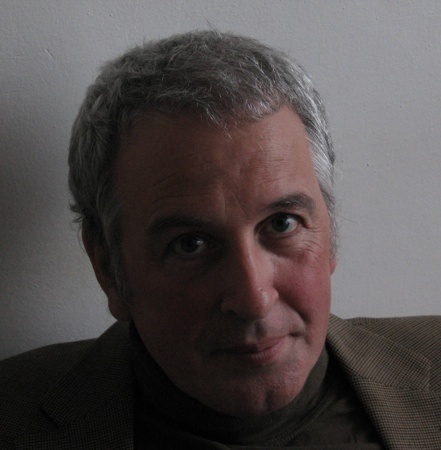 I started as a screenwriter and became a novelist. I would say screenplays require tighter, simpler plots than novels, and a focus on a fewer number of characters. A screenplay is usually about one or two heroes doing something in a fairly short period of time. A novel can be about generations of heroes and take place over centuries. He2etic: What’s your favourite part of writing a story? Nathan: Hmmm. I like all of it, for various reasons, but I guess my favorite parts are the initial plotting phase, where I work out the ending, and all the little twists along the way, and then the polishing part at the end, where I fine-tune everything and add the last details. He2etic: What is it that draws you to the Warhammer universe? Is there anything it permits you to do that you can’t find anywhere else? Nathan: I like that the world is already built, and that it is so clearly defined. World building is fun for me, but coming to a world which already has a well-documented history and established rules makes creating stories in it almost like creating stories set in the real world. You look at the history, see the stories that have already been told about it, then try to find some place or some event or some time that nobody’s touched yet. 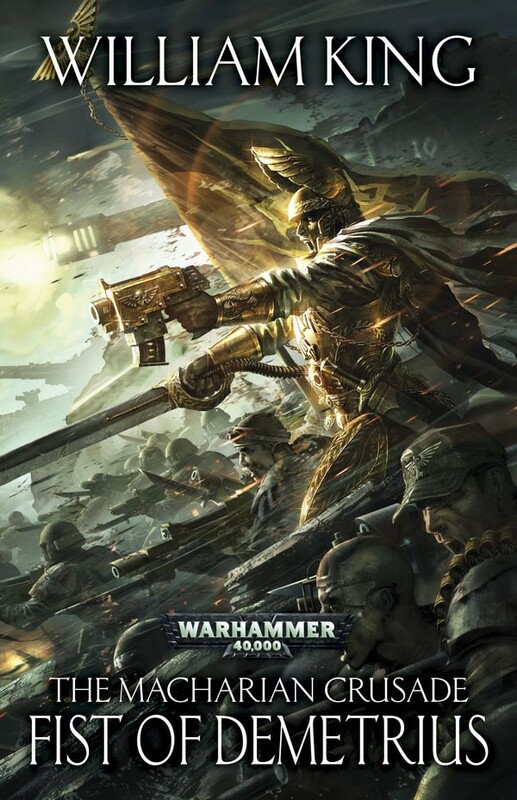 I really enjoy telling the smaller, more self contained stories that fall between the cracks of the big momentous things that the history books (or the army books) tell us about, and the richness and depth of the Warhammer background allowed me to do that. He2etic: And the least favourite part of writing? Nathan: The first draft is often a slog. Some scenes I love writing, and I breeze right through them, giggling to myself along the way. Others, particularly descriptive passages and stuff where people are traveling, are a grind, and I try to get them over with as soon as possible. My writing tends to be a little light on that stuff, and now you know why. Nathan: Hmmm. Up at 8:30. Have breakfast and noodle around on the internet until 10. Write until 12:00. Have lunch. Write until 3. Have a half hour nap. (Yep, sorry, I’m old.) Write until 6 or 6:30. So basically six hours of writing time. But if I’m on a deadline I’ll often work until I reach a certain word count, no matter how long it takes. Sometimes 3000 words have taken me until 11:00 at night. He2etic: Finally, do you have any guilty pleasures when it comes to reading? Stuff you know is utter trash, but you love reading anyway? Nathan: I don’t read as much as I used to, so I am more selective now when I do read, so less trash these days. But back in the day I burned through Pier’s Anthony’s Xanth books and the Saga of the Exiles books by Julian May. Neither of those series were trash, exactly, but definitely popcorn books.